El Tour 2010 : Team Aggress! Vic came in 16th overall. As I was approaching the Sabino Canyon area, I started to cramp in my quads. While walking through the wash, I thought I was probably over-heated and that was why I was cramping. I stripped off my arm and knee warmers and shoved them in my already full back pockets. I looked at my watch as I was climbing Snyder; it was 9:45a.m. I continued to cramp, but kept going. On the Frontage Road, my quads totally seized and I couldn’t ride anymore, I pulled over and almost fell off my bike because my legs were going crazy with bizarre spasms. While standing there, a Mexican guy pulled over, asked me what was wrong and I told him cramping. He puts three little white pills in my hand and says “put these under your tongue, they’ll get you to the finish line. Don’t worry, it’s just quinine”. So I put the pills under my tongue and in a few minutes, the spasms that were rocking my quads stopped. I made it to the finish line. get some strong guys from my team to ride as domestiques. There were about 3,500 in the 109 event. It was a VERY WINDY El Tour !!! Pete and I were going strong for through Sabino .. he was with the leaders and I was 8 minutes off the leaders pace … then the hills, pain, cramps, wind … all set in … neither of us got platinum … Pete was approx 5:12 and I was approx 5:15. Fom Eljet (Wolf in sheep’s clothing) Some serious pros racers are there usually, this year I saw James Carney (x-Olympian) and a rider for team BMC, Garmin-Transitions (now Garmin-Cervelo) and Bahati (I was racing to help my x, now current teammate again, soon to be x again (since he got hired for a pro team for 2011) win. The goal was to contain the race when needed before the 2nd wash (by speeding up the pace to thin it out to keep us safer and not let others crowd around, and ideally deliver Vic to the crucial 2nd wash. I helped Vic getting him in the wash #1, pretty cool to see. 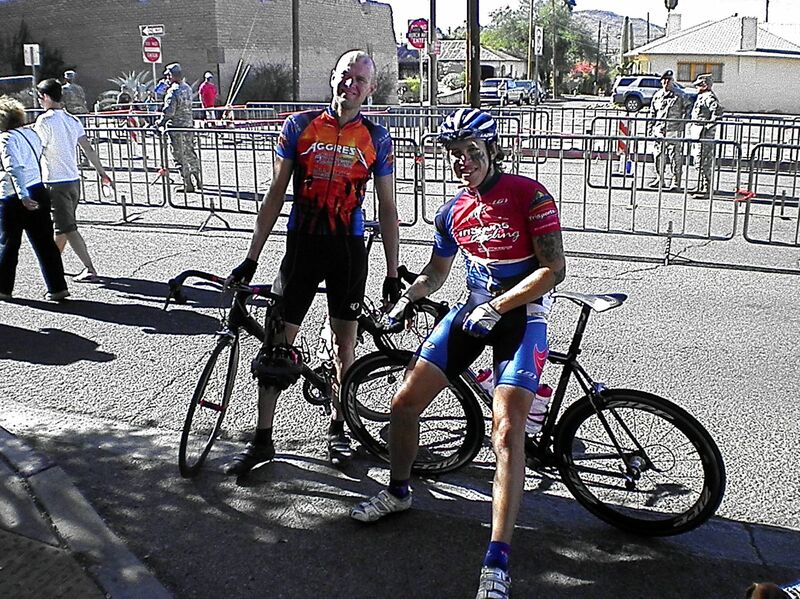 It was sweet racing for Vic, the competition was stiff…me 46th (45th last year..god!) in 4:36:41, little more than 4 minutes behind winner. 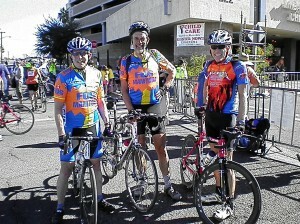 Aggress is a Tucson-based statewide / regional cycling team formed in January, 2004. As a developmental team for both road and mountain bike racing, Aggress continues to actively – yet carefully – recruit according to a philosophy that emphasizes teamwork in both training and racing tactics. Our focus is to race as a team, utilizing team tactics to get our man the win. We ride in support of our designated racer, with each member in turn supported in the key event(s) of his choosing. We are aggressive when we race, but we behave in a courteous and sportsmanlike manner at all times. 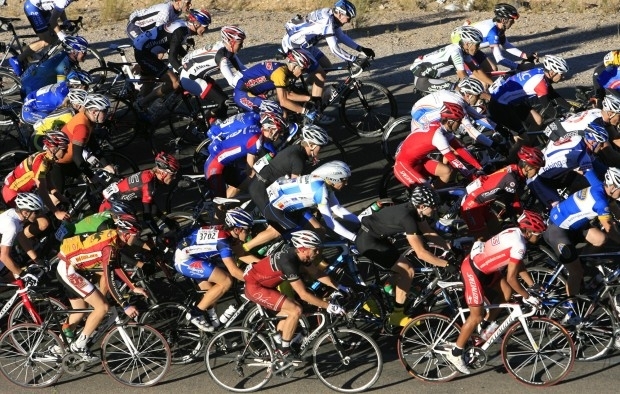 We also have team training rides that we utilize throughout the season.